Greetings from Washington State! We have been in Washington State for just over a week and it’s great to be visiting the family. We were able to see a number of you on our way up through Arizona, California, and Oregon. We also were able to visit some of you already here in Washington. Our plan is to stay here for the month of July before heading back to Cofradia the first of August. Please contact us about getting together as time always flies when we’re in the states and our agenda gets filled up quick. We are available for speaking at church services, mid-week services, home groups, youth groups, Sunday school classes, etc. Looking forward to seeing as many of you as we can. Bible School Graduation: We were anticipating seven graduates, but it turned out that only three were eligible due to a requirement that we were unaware of. The three graduates; Alfonso and Secundina from our church who live in Santa Fe and Noe from Mexico City who was finishing up his classes online after starting them in California. It was a fun and blessed day. Trip to the States: Thank you and continue to pray as we return in August. EL RETO 2017: We are still considerably short of our $2,000 goal. Please consider how you can help in order to reach out to students in need. Church Ministry: Thank you for your prayers. Jay and Faith TenBrink have left Cofradia and are on their way to their new, but former, home of Washington State. Continue to lift them up in prayer as they adjust to returning to the states and find a place to live. Our Family: Thank you so much for your prayers over our family. (Updated) Pastors’ Perspectives: Click here to read bi-annual reports from three of our Pastors. A Quick Look into our Ministry: A two minute clip of some of the activities and more. 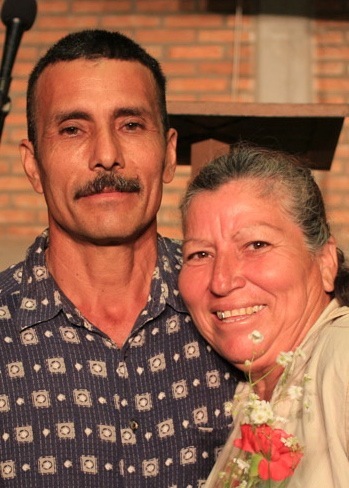 Pastor Goyo fell and broke his elbow recently. He underwent surgery and is recuperating well. Please pray for full mobility and a quick recovery. Our time in the States as we visit with family and friends and try to get some relaxing in. The Restoration Center in Rosamorada as they are conditioning a rental while we continue to raise funds for land. We recently went with Pastor Amado to purchase a section of land and was told we needed to buy the whole 8 acres at once and not in sections. That puts us $12,000 short. There is an anonymous donor who is matching up to $3,000. That means that your donation would be doubled up to $3,000 dollars ($6,000). This is a great opportunity to invest in the Kingdom of God. We could use your help with a generous contribution. I have written more information here. EL RETO 2017 will be starting at the end of August. This year’s theme is “Focus”. Click here for more information and how to participate. 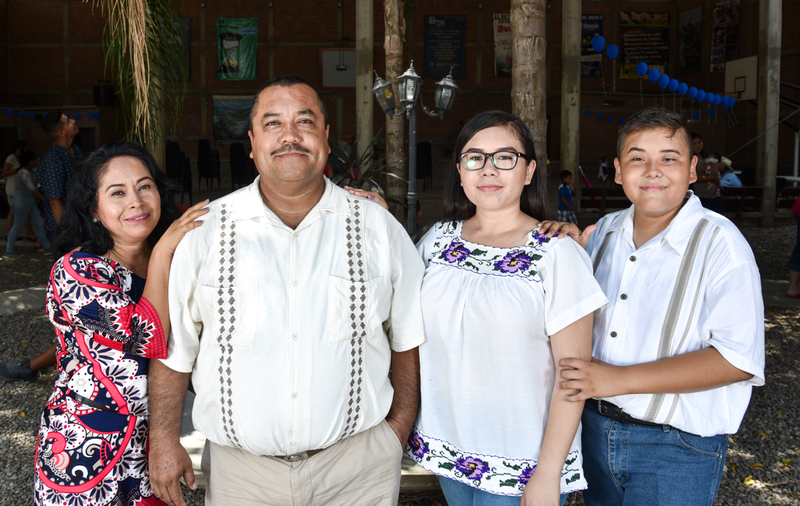 Our church plant, Centro Cristiano Cofradia, includes three main pastors who play an important role in the church's ministry development: Pastor Gregorio Hernandez, Pastor Luis Vazquez, and Pastor Horacio Garzon. For the past few years, Pastor Amado Verdin has been joining us as he leads a congregation in Rosamorada, just a few miles north of Cofradia. He is also undertaking the huge project of a Drug Rehabilitation Center which we are helping him develop. I've asked him to be a part of this bi-annual report. Pastor Gregorio Hernandez is our main lead pastor and oversees all ministries at the church. In order for him to work full-time as a Pastor, which is very important to us, he needs supplemental income from supporters like you. His current need is $250 per month. Please consider how you can help him continue to work full-time. Click on his name to become a monthly donor. For 2017 we chose a specific theme that we would explore over the course of the whole year. That theme is “Let’s live free in Christ.” This has truly helped us to understand the freedom that Christ has given us and to hold tight to the identity, security, and value we have in Him. Without the help of God and of many brothers and sisters, nothing would be working the way things have been working over the past six months. The theme we chose for this year has stimulated our ministry in very practical ways, especially in Las Pilas and in Arrayanes. 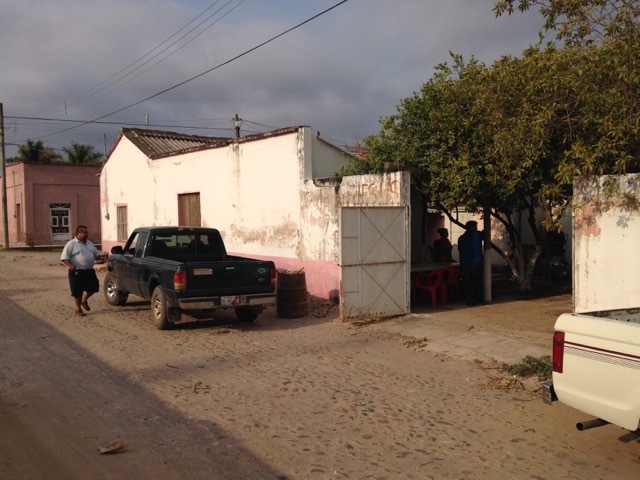 In Las Pilas we have had people visit our meetings who have never attended before. Because of this growth we wish to build a central meeting space, and we hope that by the end of the year we will have acquired the land we need for that project. 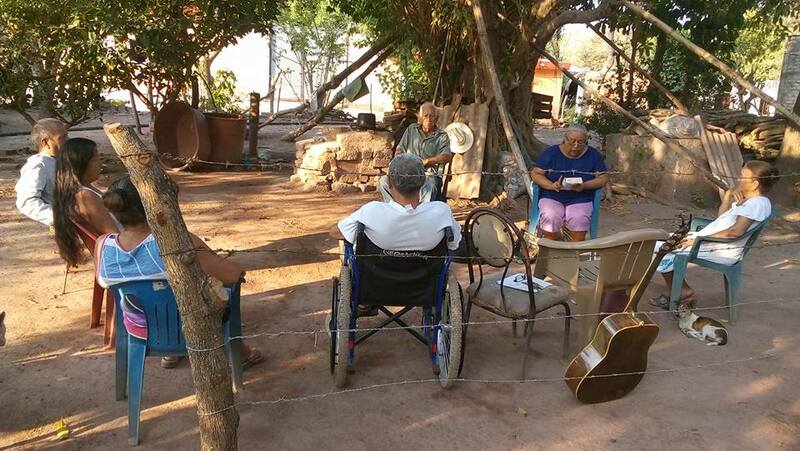 In Arrayanes we have begun a Bible study that meets on Fridays at 5:00 p.m., and people are attending! So we continue to sow the seeds of discipline to continue meeting every week. 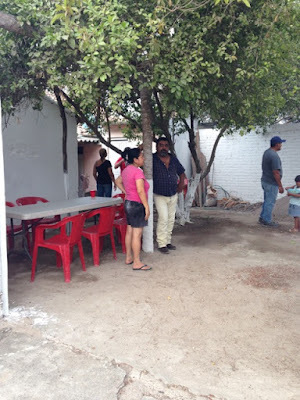 We have also begun visiting homes to share the gospel, and we even hosted an open-air evangelism in which brothers and sisters from both Cofradía and Arrayanes participated. In all of this we continue to thank you for your support, both through prayers and finances, because you have made it possible for us to remain in the ministry of sowing the Word of God. Many thanks for being an active part in our ministry. May God bless you with every spiritual blessing in Christ. Pastor Luis Vazquez is our Student Ministries pastor and maintenance director for the church. He also serves as the Cofradia Dwellings Foreman for building less-fortunate people homes. He is very busy and struggles to make ends meat each week. His need for supplemental income is $150 per month. Consider how you can help him by clicking on his name to become a monthly donor. Hello, and may God bless you and your families with all spiritual richness in Christ Jesus. We greet you in this letter, hoping that you are well in body and spirit in the Lord. We thank God for you every time we remember your great love for us, which you have demonstrated by pouring out on my family, our ministry, and the church the blessing of both your financial and prayer support. We have just completed the discipleship course New Life with the youth. We met every Saturday morning for twelve weeks, and on June 18, we had a recognition ceremony for those youth who completed the class. 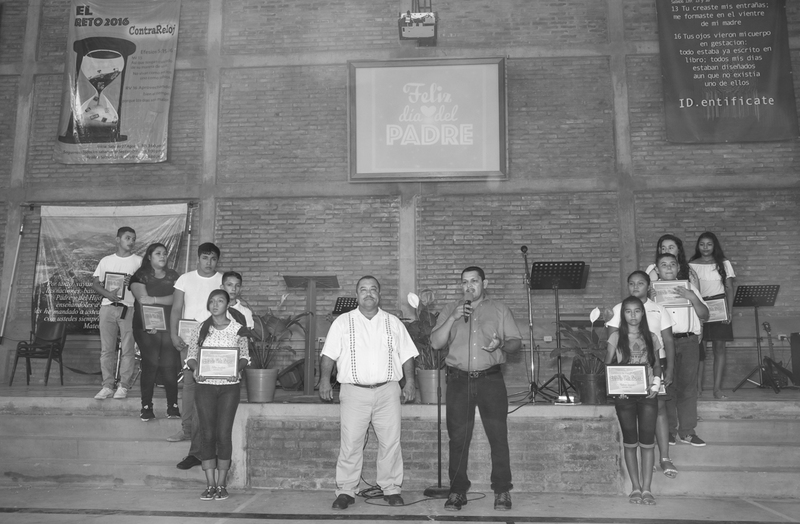 The group included young people from the church of Pastor Amado in the town of Rosamorada, since we have been partnering with him in the area of youth ministry. We will soon begin a more in-depth discipleship study series with this group of young people, with the goal that once they complete the entire series of studies, they will then lead future classes for new discipleship students. In this way they will be able to grow as student leaders within our own youth ministry. We are now in the midst of planning this year’s EL RETO event, which will take place every Saturday from August 26 through September 30. Our vision for this event is to continue to reach more youth with the gospel. We also want to prepare the youth currently in our program for leadership; we do this by choosing new team captains every year, and those captains serve as leadership apprentices over the course of the event. Once EL RETO has concluded, I will continue to disciple some of the team captains so that they will continue to have opportunities to grow and be able to serve as leaders within the youth group. My wife and I continue attending the Bible College through our church. We are now pursuing a Masters/Doctorate concurrent degree, which we will complete next year. We are learning a great deal about marriage and how to help children in their walk with the Lord. Two of my sons, Luis and Angel, are in the youth discipleship class, and my wife, Mari, and daughter, Carolina, are teaching that class. We are all growing, praise the Lord!!! We thank you again for your generosity and send you encouragement in the Lord. 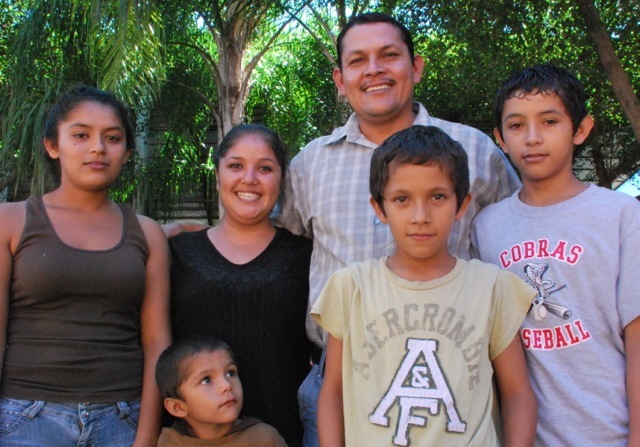 Pastor Horacio Garzon leads the indigenous ministry in Mojocuautla and helps facilitate ministry in Arrayanes. As is always true, it is a pleasure to take up my pen to write this letter and say thank you once again for your financial support. I hope that you are well and in good health, just as we are, thanks be to God. Brothers and sisters, I ask you to cover my daughter, Kenia, in your prayers, first and foremost for the rebellious character she has been demonstrating. Drawing help from the Word of God, I have recently had to confront her about this, and I have been praying for her attitude. I also ask you to keep in prayer the new level of schooling she is about to enter. It will bring her opportunities to grow in how she manages her time and in her manner of relating to others. We are also exploring our options for how to pay for her room and board, meals, and the school materials she will need, for our desire is that she continue her studies. I am excited for our next retreat—a pastor’s retreat in Mexico City in July. I believe it will be a great blessing. Please receive greetings from Martín, who is living in the mountain village of Mesa del Nayar serving with the leaders of the school there. 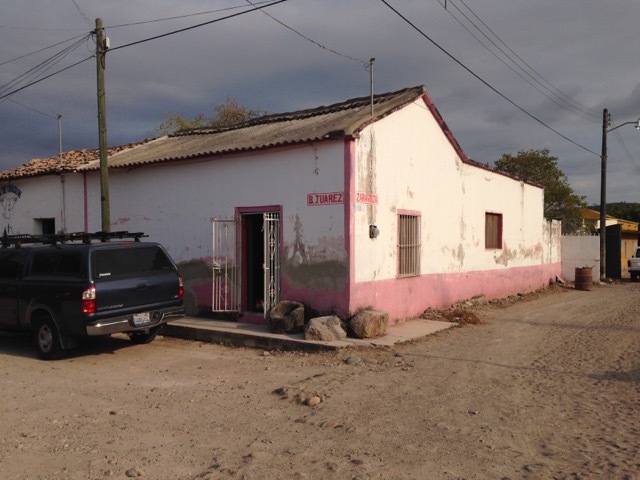 In June, together with Pastor Hector and several members of his church, we had the privilege of going there to support their ministry. Brothers and sisters, thank you so much for helping me. 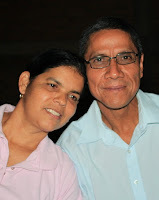 May God continue to bless you, and please receive the warmest greetings from my wife, Maria, and I.
Pastor Amado Verdin is from Rosamorada and is the lead pastor of Iglesia Hermosa Casa de Oración. He also is heading up the drug rehab center which he likes to call a Restoration Center. The center is designed to house interns and help them be restored to good health physically, mentally, and spiritually. They will also be trained in a trade in order to help them be reinstalled into society once they're finished with the program. You can read about my explanation of their current financial need here and click on his name to help with his project. Our vision is to provide a place where any person with any kind of addiction can be recuperated and find hope for a better life. They will be prepared to face the every-day challenges that getting back into society presents. Our mission is to restore the addicts lives so they will be able to return to society clean. We will teach them God's principals so they will have hope and to remain stable in their daily lives. We will equip them with a useful trade so they can serve the community and be able to sustain themselves financially. We currently have a rental house to temporarily establish the restoration center "Lighthouse of Hope" while we obtain land where we can build the center as it is in our vision. The municipal government has donated a new stove and fridge, we have also been given wood to make bunk beds, and we also recently received the study materials we need to help the interns. Our current needs are 12 individual mattresses, kitchen supplies, fans, bedding, pillows, tables and chairs, chalkboard, white screen for projections, office furniture, and bibles. 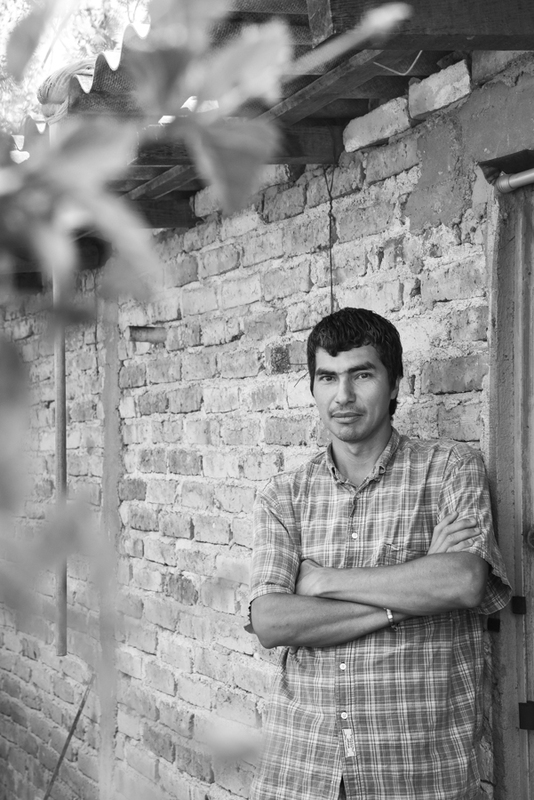 Amado's vision is to provide a place where those who have whatever kind of addiction can be restored to good health and find hope and a place in the community by learning a trade. The mission is to restore addicts and healthfully reinstall them into society. Each week, the Mayor of Rosamorada receives phone calls or has people come to him for help with their family members who have addictions. He is anxiously waiting for the Rehab Center to get started and has promised help with the building of the Center. The obstacle is property. There was about 8 acres of land that is very suitable for this project, but the owner has raised her price to $350,000 pesos (roughly $20,000 USDollars). We went with Amado to pay for a portion of the land after raising $8,000 dollars. We found out that cannot be done, but the whole property needs to be bought instead. We need $12,000 more dollars in order to satisfy the payment of the land and help Amado get started with the building projects. 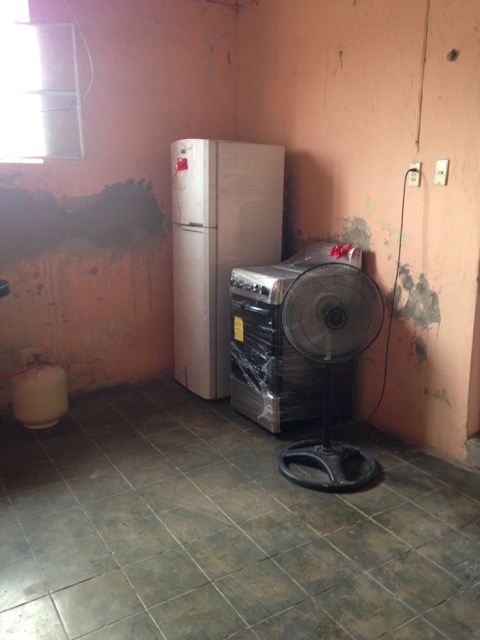 In the meantime, Pastor Amado and his team have been getting a rental ready to house up to 12 interns and begin restoring lives in the Rehab Center. Waiting for the property is only dragging out the commencement. PLEASE GENEROUSLY CONSIDER HOW YOU CAN HELP. You can make your Financial Contribution here. Back yard of rental house. 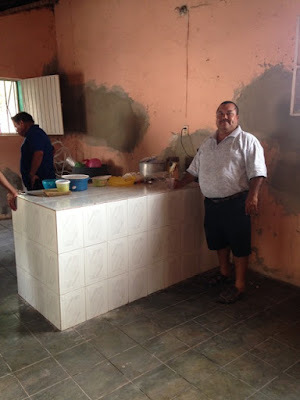 Pastor Amado in the kitchen area. The Mayor donated a stove and fridge to the Center. 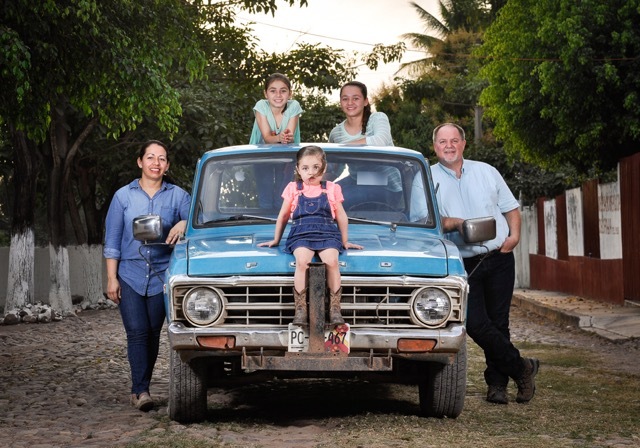 Pastor Amado and his family. EL RETO 2017 is just around the corner and we are making preparations for this 6 week youth outreach in August and September. 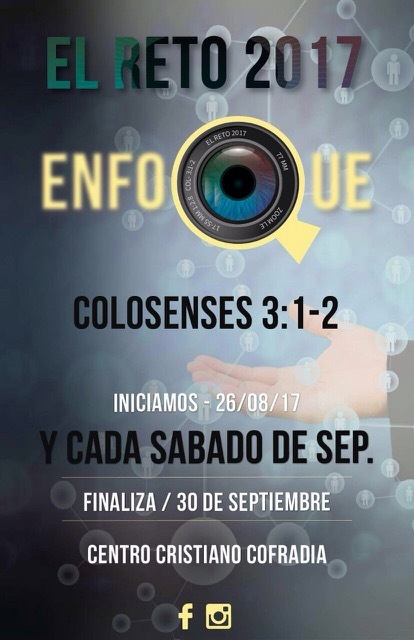 This year's theme is "ENFOQUE" (Focus). Colossians 3:1,2 says, "Since then, you have been raised with Christ, set your hearts on things above, where Christ is seated at the right hand of God. Set your minds on things above, not on earthly things." Today, there are so many distractions in our lives: financial security, possessions, appearance, television, internet, and especially Facebook. The list could go on. The concept that the Apostle Paul shares applies to us today. Not that these things are "bad", but when used incorrectly, they become a distraction and we lose our focus on God and His principles. This year, we want to help the students become aware of how "things" can distract us from following God and receiving His blessings. JOIN US AS WE REACH OUT TO YOUNG PEOPLE WHO NEED HOPE AND PURPOSE IN LIFE! Our goal for a working budget is $2,000 which includes promotional materials, activity materials, staff and captain shirts, snacks for the students, and our major expense of transportation. We do not charge anyone to come which is why we need your help. Thank you for your generous contributions!